Going out to eat is my favourite pastime. Can you call it a hobby? Whatever it is I’m getting good at it and although all meals are good I think brunch is my favourite. I just love breakfast food. Yeah, I know I could go out for breakfast (and that’s good too) but there’s something a bit more decadent about going out for brunch. 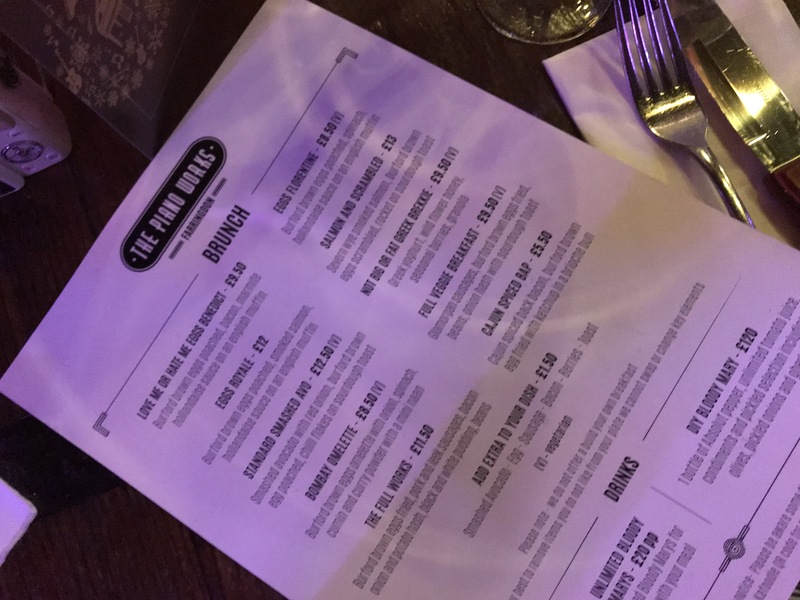 And there’s only one thing better than brunch – yep, bottomless brunch! Woohoo! 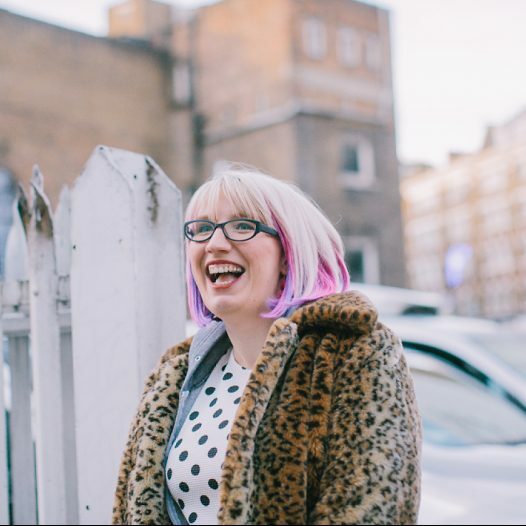 Thanks to Love Pop Ups London I was invited down to The Piano Works in Farringdon to try their prosecco bottomless brunch. Obviously, I took my usual partner in crime, Steph, with me. Also, the low lighting and my photography skills aren’t the best of friends. Sorry about that. It took a minute for my eyes to adjust to the low lighting in the basement from the bright winter sun outside. When they did though I was pleasantly surprised. 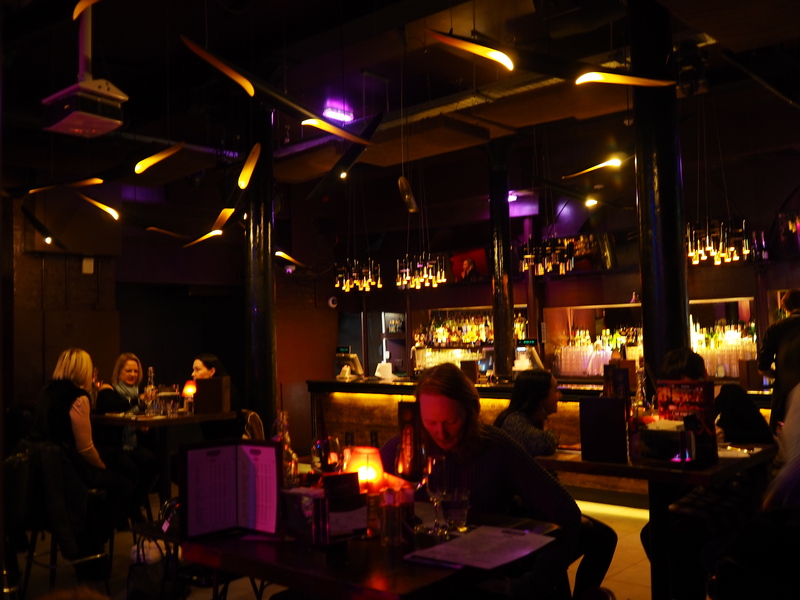 The whole bar has a cool speakeasy kind of vibe and I loved it. 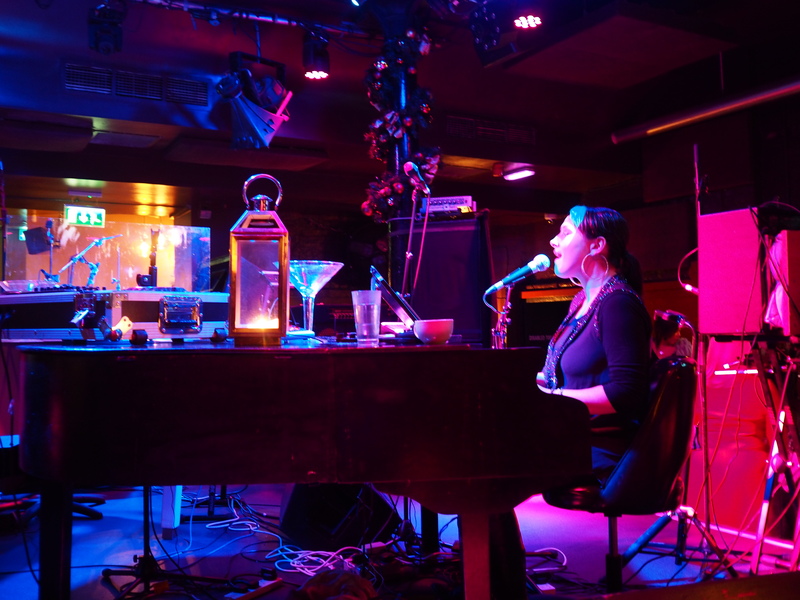 In the centre of the room there is a platform housing two pianos. When we arrived, there was a girl belting out a bit of Adele. Don’t think the song choices are going to be boring ballads though as she soon transitioned into a version of No Scrubs by TLC. There’s a stack of cocktail napkins to write your requests down on. You can either pass them to a waiter or pop them on top of the piano yourself. They cover such a wide range of songs it’s brilliant trying to think of things to challenge them. Our top requests were Shake It Off by Taylor Swift and All The Small Things by Blink 182! As the day goes on the piano player is joined by a second piano player and a band. So, if you’re coming for the second sitting at 2pm prepare for it to be pretty loud. We went at 12pm and could easily chat over the volume of the music while we ate. The service was brilliant and our glasses were topped up regularly. We were never left with an empty glass. With all that fizz flowing it was extra important that the food was good. 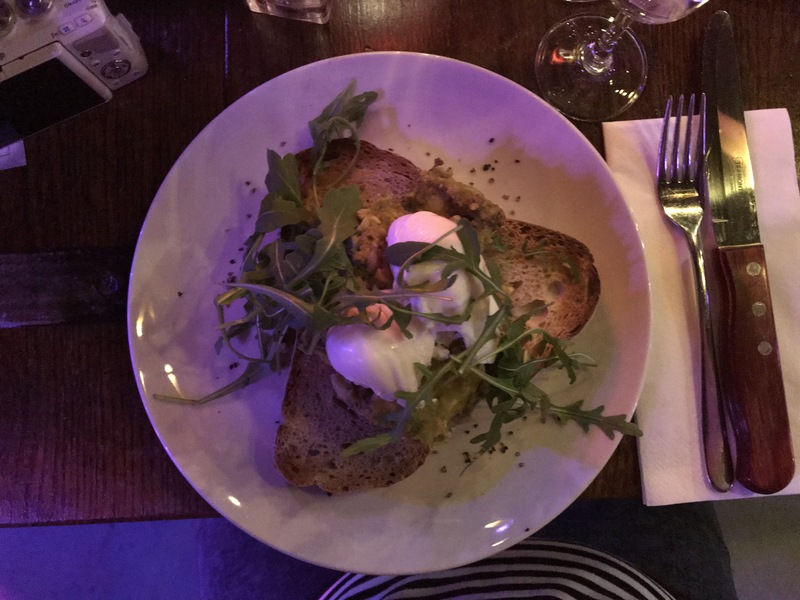 You may know I have a bit of a thing for avocados so it will come as no surprise that I went for the smashed avocado on toast. It was so good too. Just the right amount of chilli on it to give it a kick but not too much that it was difficult to eat. 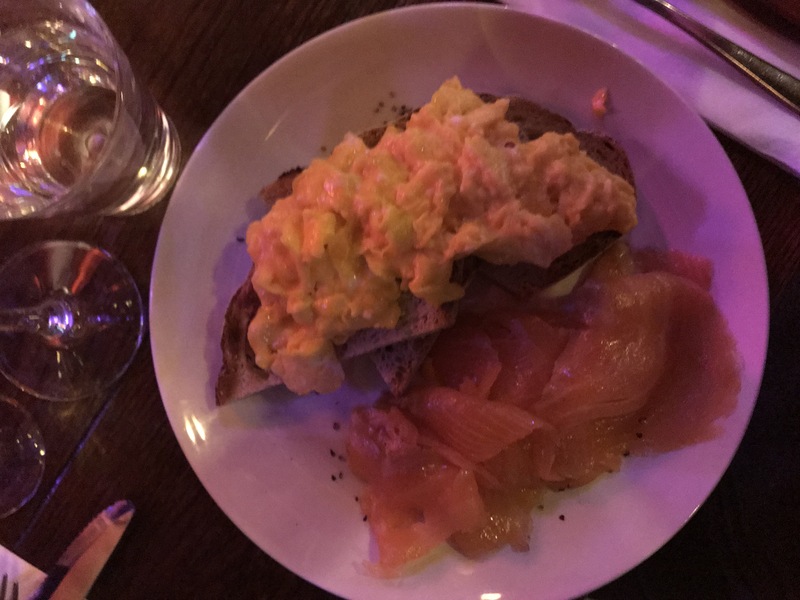 Steph had smoked salmon and scrambled eggs and she said it was delicious too. I’m pretty picky about my scrambled eggs but these looked like they were cooked well. She said they were spot on, just the right side of creamy and not at all sloppy or, at the other end of the scale, overcooked. 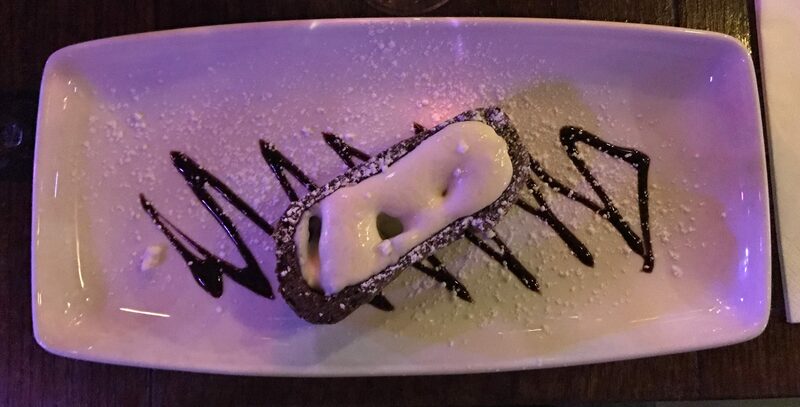 I’ve never actually had a desert after brunch before but the chocolate roulade sounded so good (and it was nearly Christmas) that we both decided we couldn’t say no! It came with vanilla ice cream and had teeny tiny marshmallows in it. It was really tasty and not too super sweet. We had such a great time that I’m actually planning a return visit to belatedly celebrate my birthday in a couple of weeks. *I was gifted brunch for review purposes but all words and thoughts are my own. Very interesting post share, yummy and tasty food. Amazing glad you enjoyed it and nice to hear that you going back. 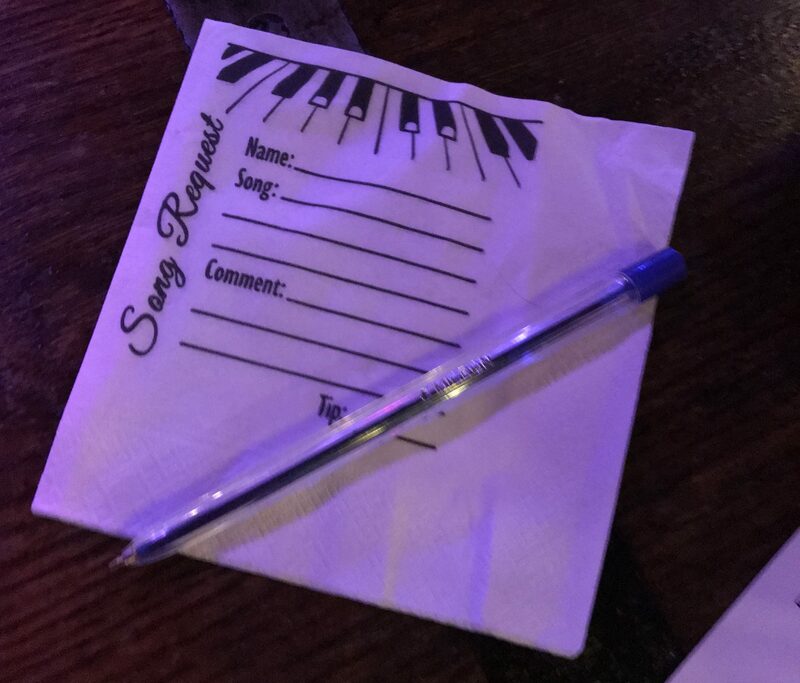 I love the idea of the napkins being used to request songs on.